Welcome to IOMARS. 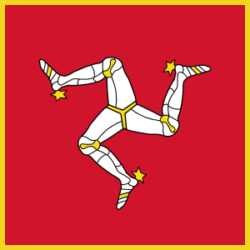 The official site of the Isle of Man Amateur Radio Society. Club meetings take place on the evening of the second Tuesday of the month at the Sea Cadet Training Ship “TS Manxman” just off Tromode Road in Douglas. We also meet every Wednesday evening at our club shack within the Scout building Mill Road Ballasalla. We are able to offer assistance with all three amateur licence exams. Click here for more information regarding training courses for Foundation, Intermediate and Advanced licence courses. A membership form may be obtained by request from the secretary either in person, emailing info@iomars.im or by downloading from here. Each year we ask everyone to complete a new form, this ensures our records are accurate. Family membership – £20 for first member £10 each per additional member. Membership application forms can be downloaded from here. From “GD” land, the Isle of Man. Club call signs GT1IOM, GT3FLH & GT4IOM. The content of and views expressed on this site are that of the individual contributors and not necessarily that of IOMARS Committee or members. Events appearing on this site may from time to time include those of other Radio organisations or individuals and may not necessarily be organised or arranged by IOMARS. The evening of the second Tuesday of the month at the Sea Cadet Training Ship “TS Manxman” just off Tromode Road in Douglas. Every Wednesday evening at our club shack within the Scout building, Mill Road Ballasalla. Each meeting takes place between 19:00 and 22:00 hours. New experimental digital mode, FT4 for digital contesting. Sea Cadet Training Ship “TS Manxman”, Tromode Road, Douglas. The Scout building, Mill Road, Ballasalla. Site content maintained by Gavin Wilby (2D0PEY) and the IOMARS digital team.